When it comes to Halloween candy you can never have too many dishes lying around full of tasty provisions. 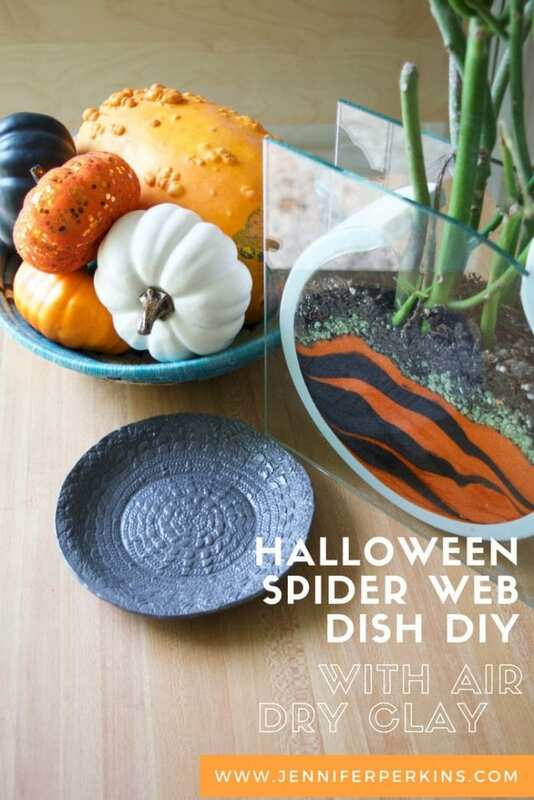 Why not go the extra crafty mile and make those dishes spider web inspired. 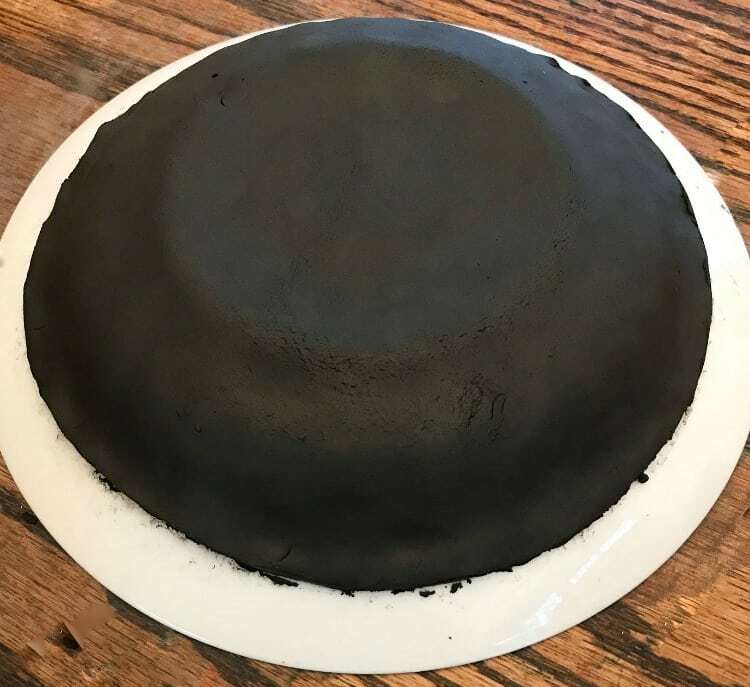 All you need is air dry clay and…. Can you guess what I used to get that web like effect in my clay? I’ll give you a hint – I’ve used them to not only make air dry clay dishes but to also make snowmen wreaths, Hanukkah ornaments and decorate dollar store baskets. The suspense is killing you I bet, so read on to figure out the surprise behind this spider web dish. Give up? 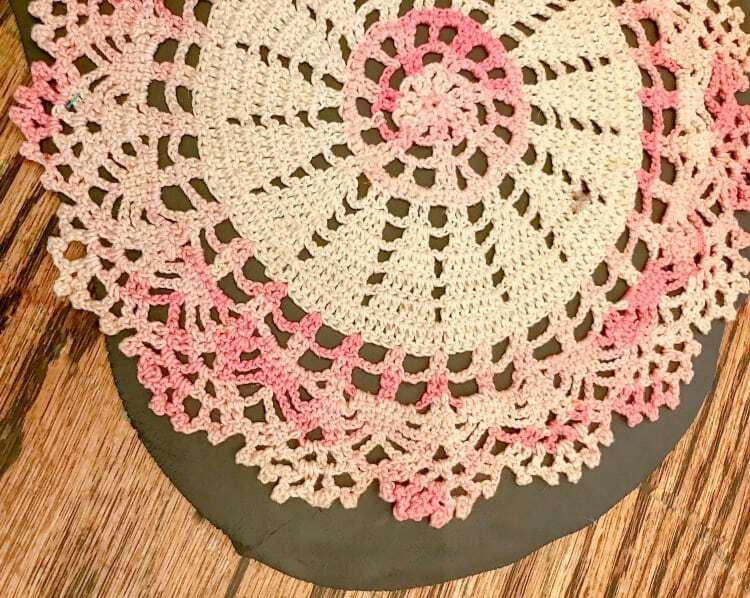 It’s a vintage crocheted doily! Doilies are a dime a dozen at flea markets, thrift stores and antique shops. They come in tons of different sizes, patterns and intricacies – just like real spider webs. 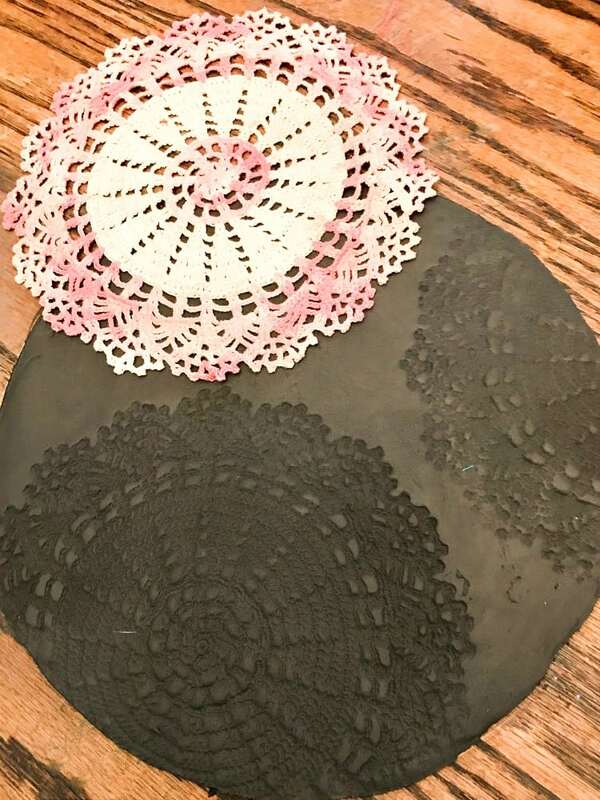 That is why when you impress these old doilies into air dry clay you get what looks a lot like a Halloween spider web dish. 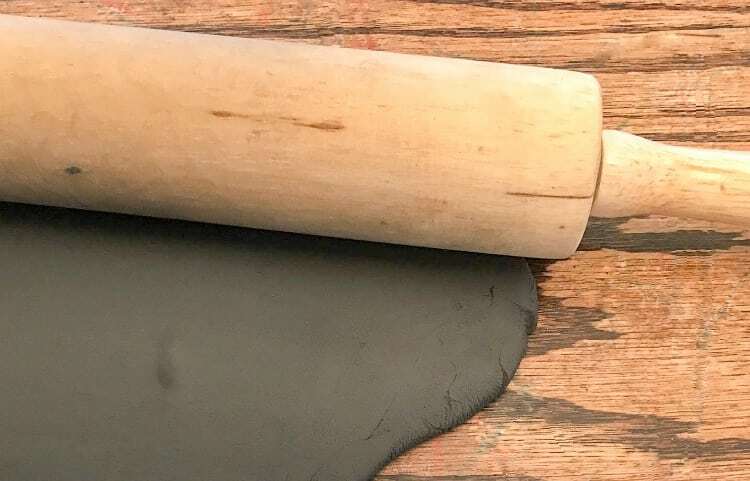 Using a rolling pin flatten out black air dry clay. If you only have white you can also do the same thing and paint it black later. 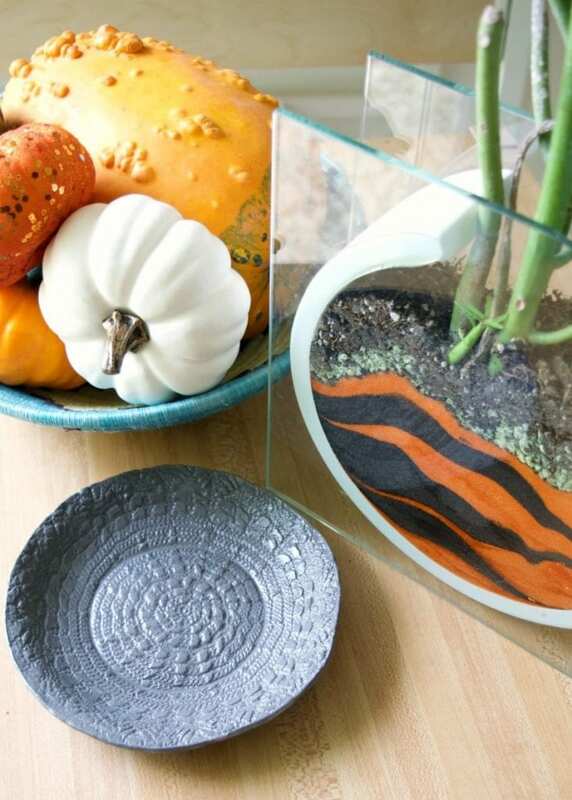 Another fun idea is to skip the clay altogether and make a DIY Stiffened Doily Bowl. 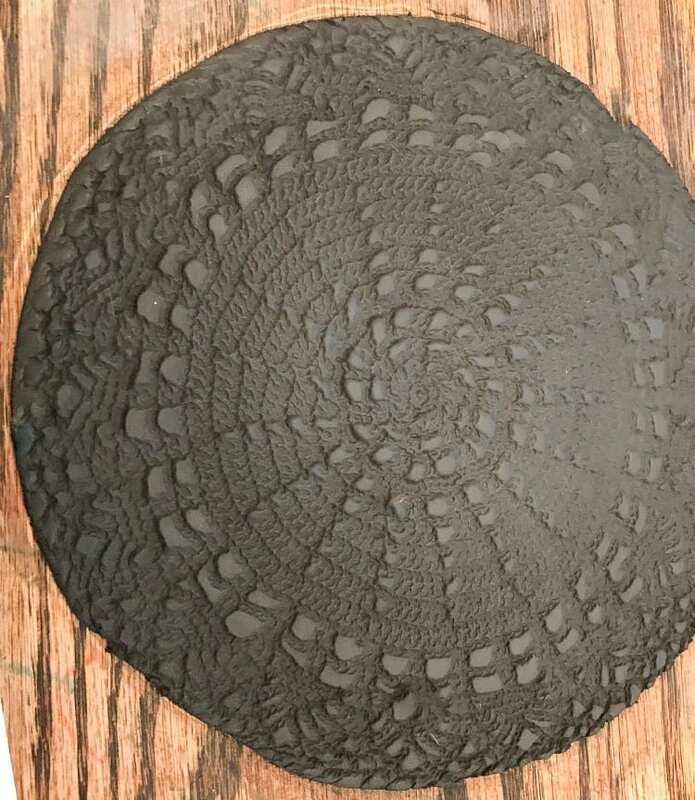 Put the doily onto the rolled out air dry clay. Using the rolling pin roll over the clay and the doily. This is causing the doily to impress a pattern into the air dry clay. Lift the doily away from the air dry clay to reveal your spiderweb pattern. Some doilies will look more like spiderwebs than others. Using a craft knife or scissors trim the clay into the shape of a circle. 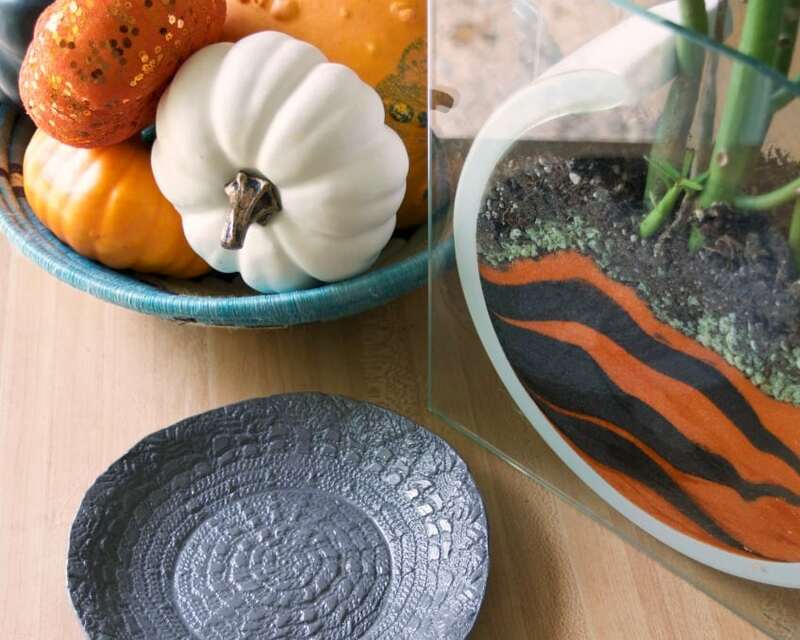 Remember this is an air dry clay spider web dish so it does not have to be perfect. Gently place the air dry clay over the backside of a bowl. This will allow the clay to dry in the shape of dish. Leave for 24 hours. Le boom – your spooky spiderweb dish is made and ready for action. Almost, too cute to fill with candy. Think of all the colors of clay out there – you could make one of these for every season in every color. I bet you are suddenly looking at that collection of doilies in your grandma’s attic a little bit differently now. Love to hear about it if you end up using them to make clay spider web dish! Keep Reading for More Halloween Fun! 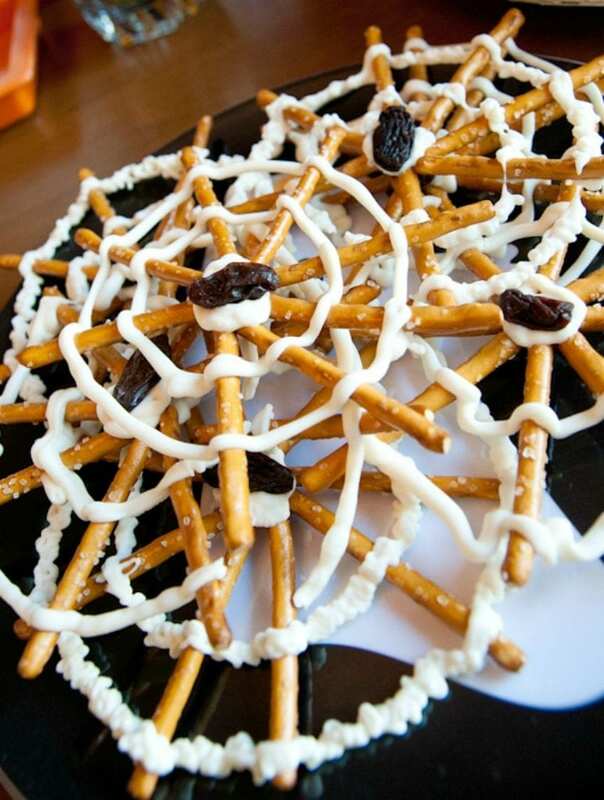 20 Creative Halloween Party Tables and Treats – Including how to make a delicious pretzel spider web treat! 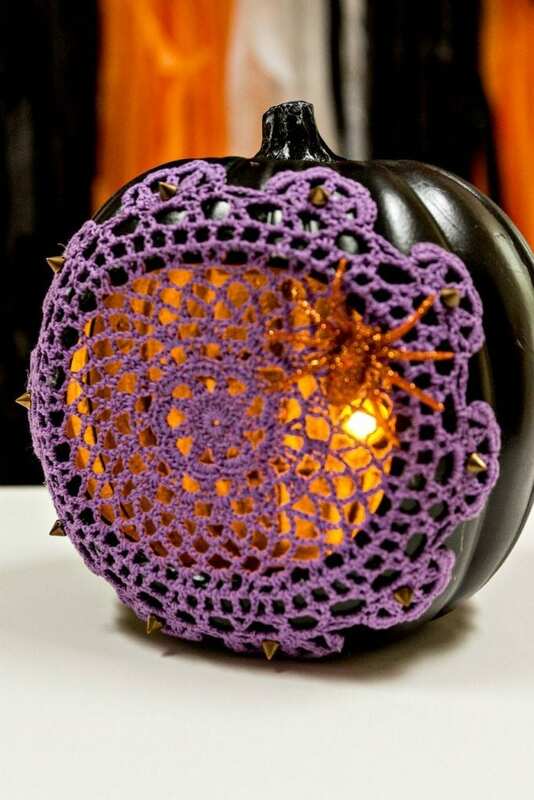 Continue the spider web look over on DIY Network with 10 Creative Ways to Use Doilies and Lace for Halloween. 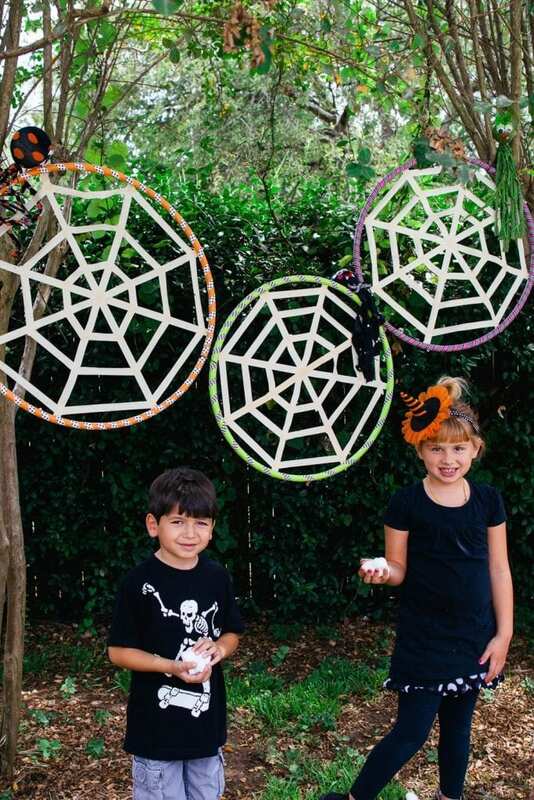 Halloween Spider Web Toss Game – Check out all these fun Halloween games for kids including a DIY spider toss game! Posted September 18, 2018 & filed under Halloween, Holidays. Air dry clay is the best invention. The dish is so ingenious. Thanks for sharing at the Snickerdoodle Create Bake Make Party.